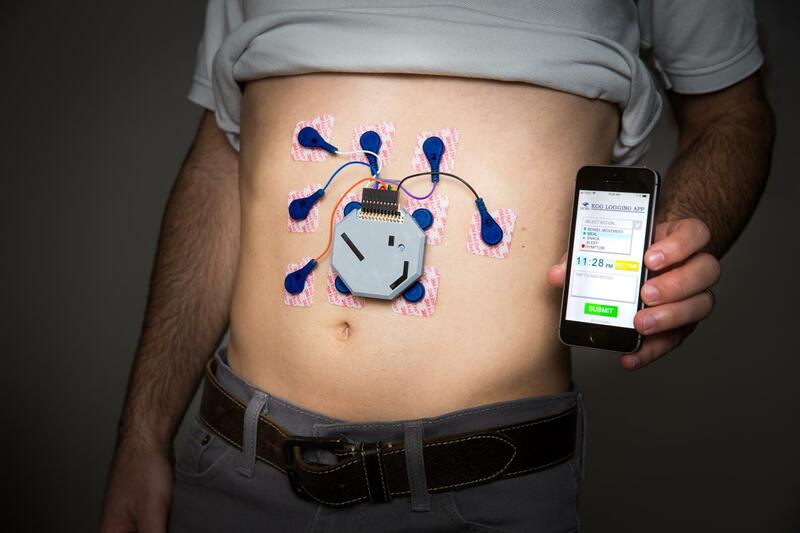 San Diego, Calif., March 22, 2018 — A team of researchers has developed a wearable, non-invasive system to monitor electrical activity in the stomach over 24 hours–essentially an electrocardiogram but for the gastro-intestinal (GI) tract. The team tested the device, a 3D printed portable box connected to 10 small wearable electrodes, on 11 children and one adult volunteer. They found that data collected with the wearable system were comparable to data collected in the clinic with state-of-the-art methods, which are invasive–including a catheter inserted through the patient's nose. They also found that the stomach's electrical activity changes not only around meals, but also during sleep, following its own circadian rhythm. "This will help us determine if the stomach is functioning properly during meals and – most importantly – when patients are experiencing symptoms such as nausea and belly pain," said Dr. David Kunkel, one of the paper's co-authors and a gastroenterologist at UC San Diego Health.